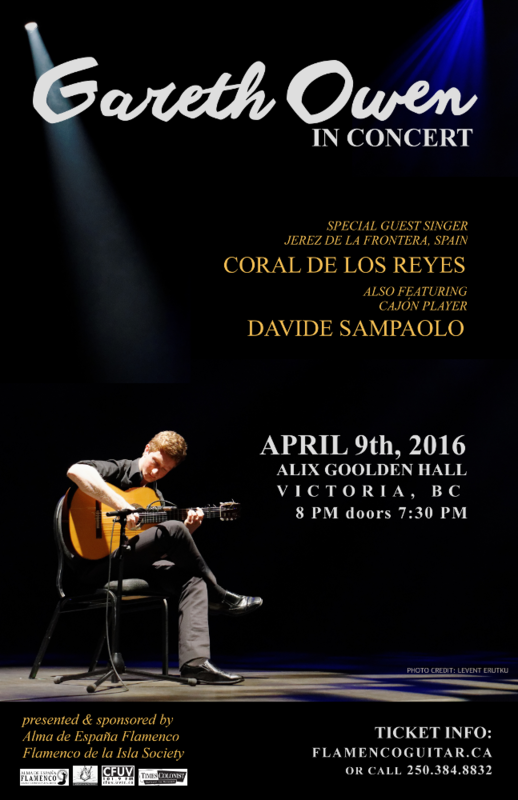 Alma de España and the Flamenco de la Isla Society are pleased to present flamenco guitarist, Gareth Owen, in concert on April 9, 2016. Freshly returned from Spain, Gareth Owen channels raw, flamenco fire through strong and passionate playing. Gareth is joined by international guest artist, Coral de los Reyes, from Jerez de la Frontera, Spain, the heartland of all flamenco cante (song). Gareth and Coral have been working intensely to present a concert that is not to be missed. Please join Gareth Owen for an evening of live flamenco guitar music and song! Tickets: $45 available at the box office or at the door.